Chinese network equipment giant Huawei unveiled its first commercial 5G router at the Mobile World Congress (MWC) in Barcelona. 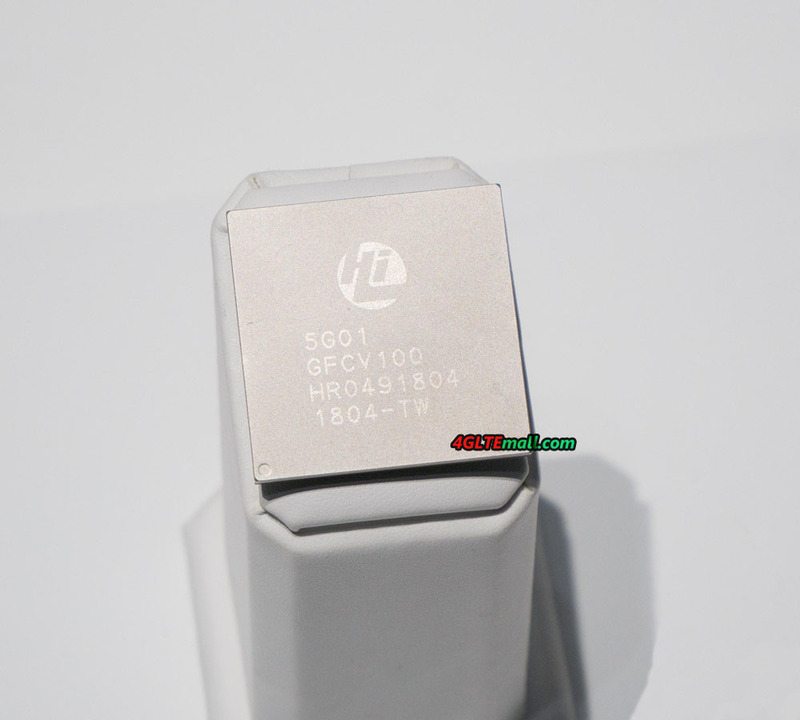 The device is called “5G CPE Pro” and visually resembles the prototype, which Huawei already presented in 2018 for various 5G live shows. 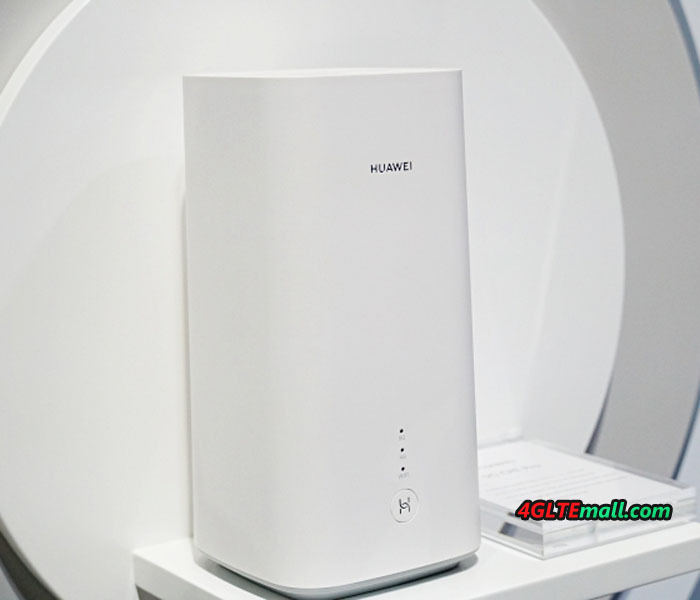 The Huawei 5G CPE Pro Router is based on the HiSilicon Balong 5000 modem, which is Huawei’s first multimode 5G modem. Multimode means that in addition to 5G, 4G/LTE is supported and so a so-called dual-mode operation is possible. If the 5G reception is not strong enough, the unit will automatically switch to 4G mode so that the connection remains. According to Huawe, the maximum speed in the 5G network is at 3.2 gigabits per second. The Balong 5000 chipset can bundle up to two 100 MHz wide frequency ranges (2CA). The Huawei 5G CPE Pro Router can handle both the frequency range between 3.4 and 3.8 gigahertz (C-band) and the millimeter-wave range between 26 and 28 gigahertz. On the front, there are three LEDs and a WPS button for fast Wi-Fi encryption. 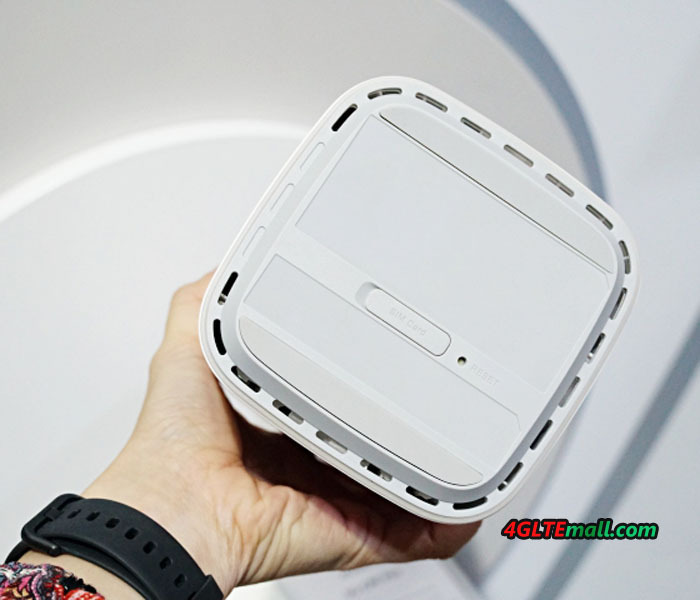 On the back of the Huawei 5G CPE, there is a power adapter, power button, and SIM card slot at the bottom. Two RJ45 Gigabit Ethernet ports for LAN / WAN are also integrated. The WLAN works both on 2.4 GHz and on 5 GHz, in addition to the WLAN ac standard the new WLAN 6 is supported. In addition, there are two connectors for external 5G antennas. 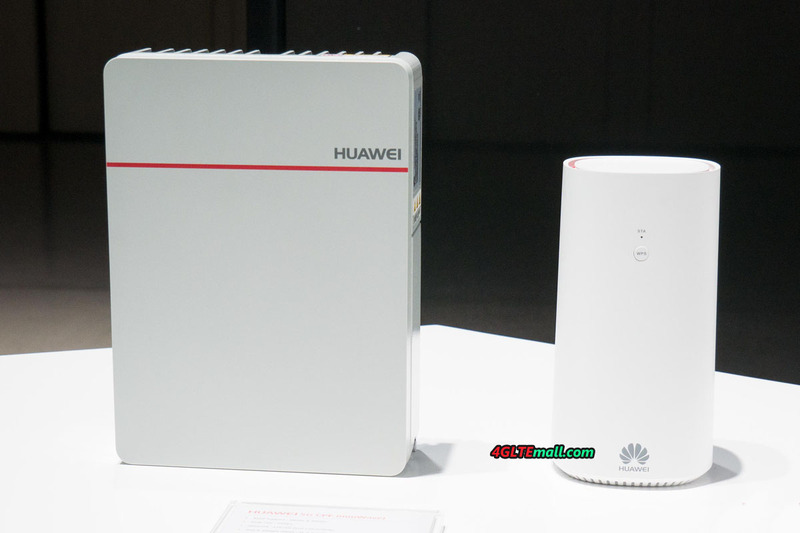 The total design looks very similar to the predecessor Huawei B618s-65d router. Whether and when the Huawei 5G CPE Pro Router will be launched to the market is unknown. 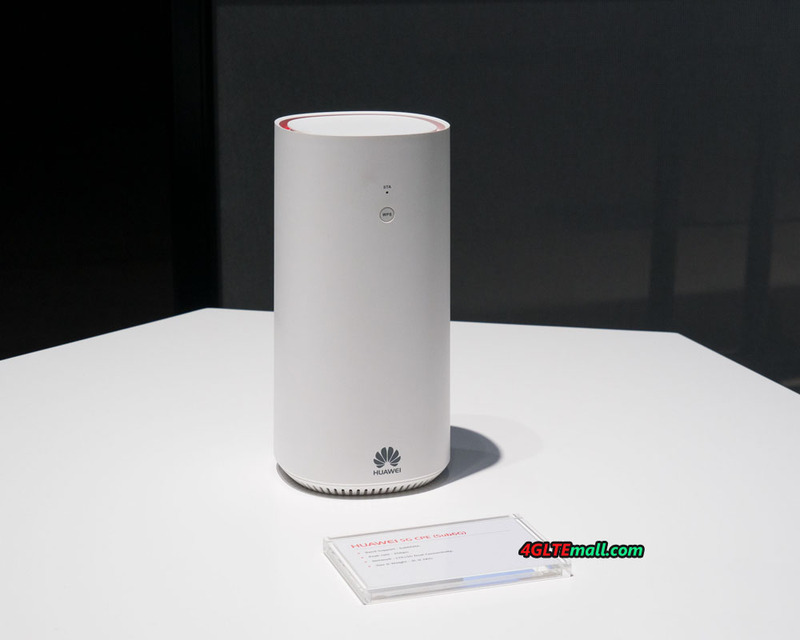 At the MWC, Huawei also shows the 5G CPE Window Router, which uses an outdoor antenna and module, so that a good 5G connection can be guaranteed even in regions with poorer reception conditions. 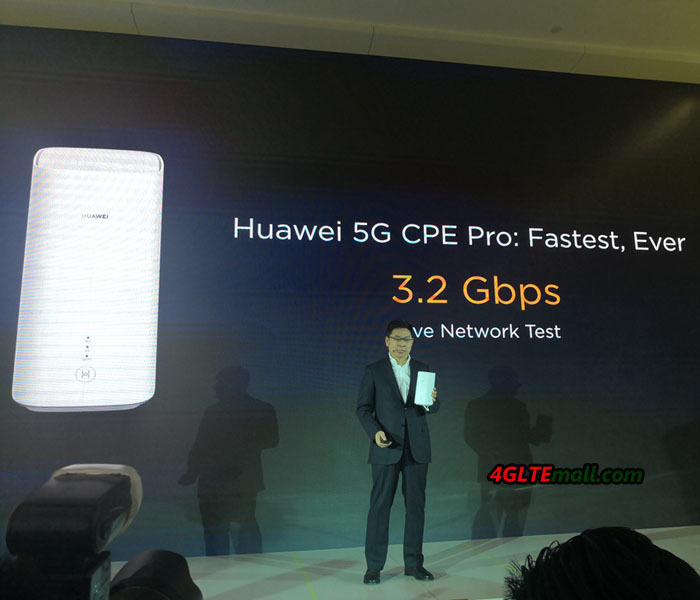 At the Mobile World Congress, Huawei Consumer Business Group (CBG) presented the HUAWEI 5G CPE Pro, a CPE (Customer Premise Equipment) unit that provides ultra-fast broadband speeds, as well as Dual-link functions. This new Huawei 5G Router is designed to achieve more robust “zero distance” connectivity between users and connected equipment. 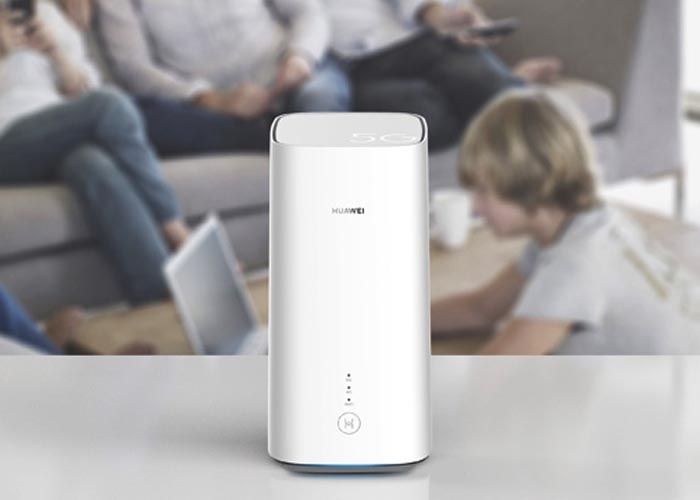 Powered by the Balong 5000, this 5G router is a breakthrough in the extension and accessibility of 5G technology for consumers around the world. Developer by Huawei, the Balong 5000 is the world’s first 5G multimodal chipset modem. The power of this chipset allows the HUAWEI 5G CPE Pro to be the first with support for 4G and 5G commercial applications in dual modes. It is the first chipset to have the capacity to complete industry requirements at maximum 5G download speeds. Its dual mode functions allow it to operate by default in 4G when the 5G coverage is not strong enough. To ensure that the demands for access to networks and consumer connectivity are met, the HUAWEI 5G CPE Pro uses fiber-like technology with speeds up to 3.2Gbps in commercial networks, to be compatible with ultra high definition visual communications, as well as powerful multimedia interactions. Additionally, the HUAWEI 5G CPE Pro uses a dedicated video channel as well as video game acceleration channel technology, which means that the performance will be the best possible even in situations of multimedia in 8K resolution or in Virtual Reality games. The HUAWEI 5G CPE Pro sets the standards for mobile spaces, as it is compatible with Wi-Fi 6 technology, also known as 802.11ax. 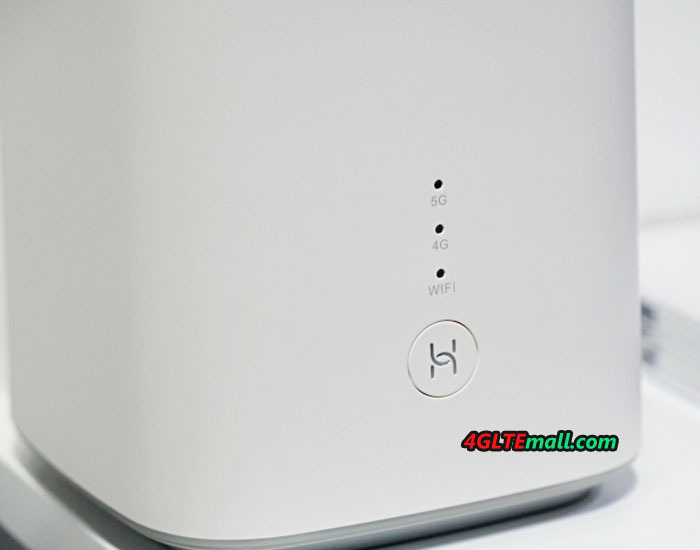 The Huawei WiFi Router allows next-generation Wi-Fi speeds and connectivity, and is designed to operate at the best speeds in any situation. Some extra benefits are: better data transfer speeds, greater capacity and efficiency. Thanks to all this, the HUAWEI 5G CPE Pro supports WLAN download speeds of up to 4.8Gbps, which is 15 times faster than the 300Mbps of Wi-Fi 4 technology (802.11n, 2 × 2 MIMO). Designed to receive better signals, the HUAWEI 5G CPE Pro is the world’s first “small cross-polarized” type antenna that minimizes auto interference effectively. Thanks to its unique design of two crossed antennas, the standard anti-interference distance of 10mm between the antennas has been eliminated, reducing the size of the structure by 20%, and increasing the Wi-Fi coverage by 30%, in both directions vertical as horizontal. It’s said that the 5G networks would be launched in many countries and areas, so as the next generation of 5G mobile phones. As an important application, 5G router would be also an important part for 5G connection and surfing. 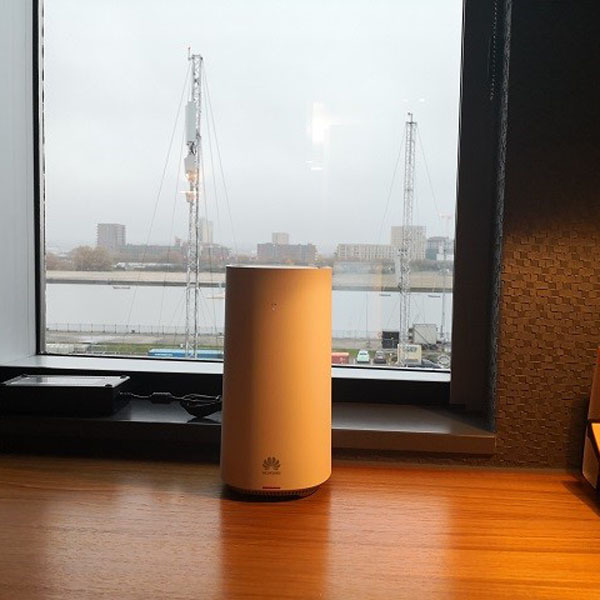 The UK provider Three released its first 5G home access point from the Chinese network equipment supplier Huawei. Three UK owns 100 megahertz of radio spectrum in the range around 3.7 GHz and expands its 5G net with this spectrum. Huawei can provide both the network technology and the appropriate terminals for 5G. 5G can be used for a variety of purposes, but fast Internet for the home is probably the first application that will be introduced over a large area. 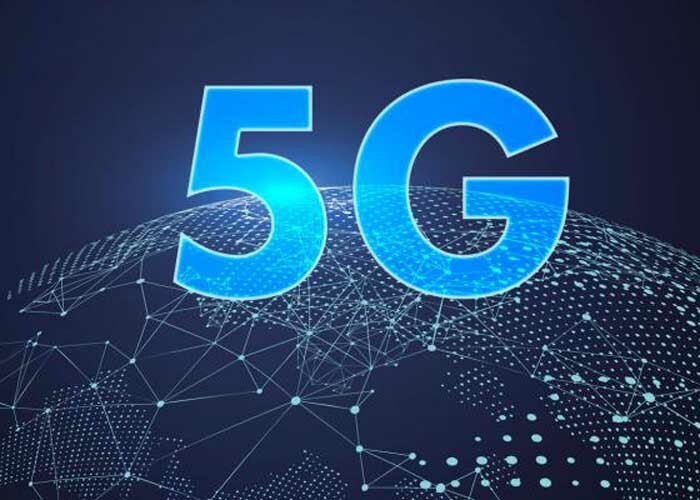 With the 100 MHz wide spectrum that Three UK has available for 5G, it is theoretically possible to achieve up to 2 gigabits per second – which is about twice as fast as the currently most powerful LTE connections. What is more interesting than the top speed is the average speed, which should be at 1 gigabit per second. Compared to LTE, that’s a big step forward. A 5G connector can not only easily replace a VDSL supervising connection, but even achieves speeds previously only possible with fiber optic connectors. 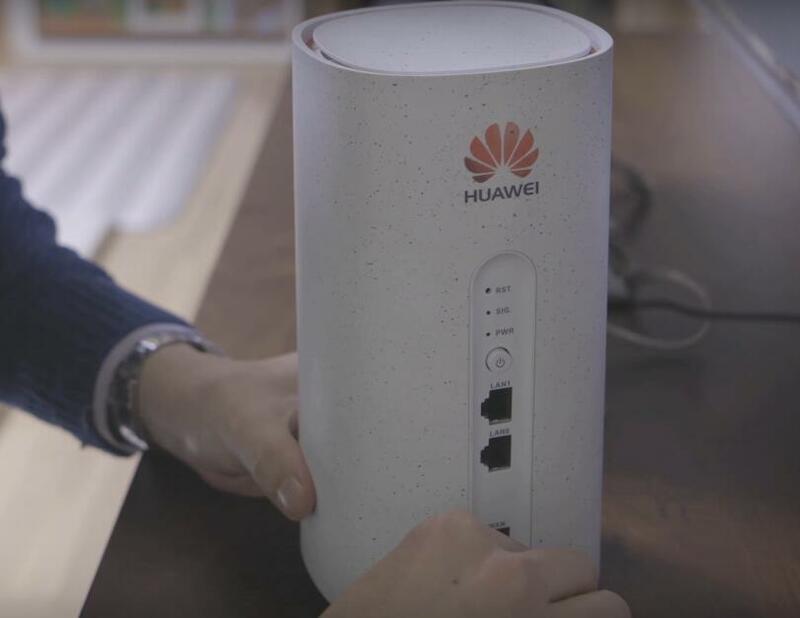 Although Huawei already presented the first 5G router in 2017, it is now being used in practical use for the first time. It is the 5G router model for the so-called C-band, ie the frequency range between 3.4 and 3.8 gigahertz. 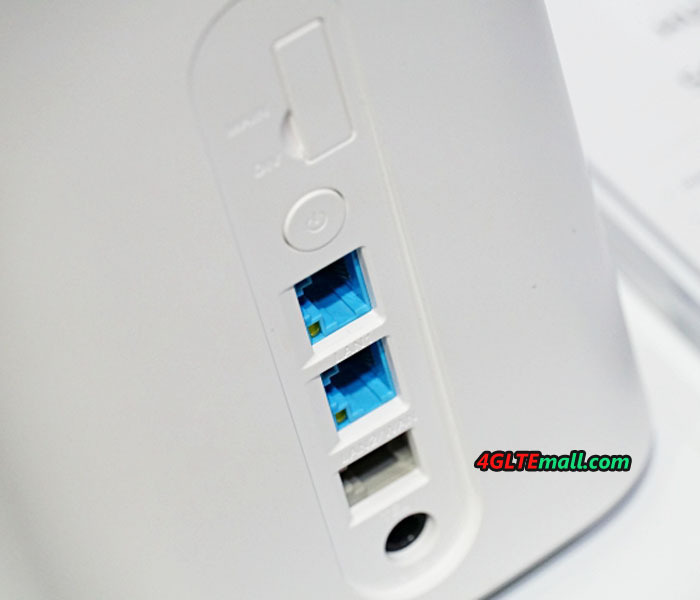 Externally, the router is inconspicuous therefore and does not differ from an ordinary 4G LTE router. The router would certainly not win a design prize, but the technology dominates. The Huawei 5G C-Band Home Router can also use LTE in addition to 5G, as shown in the datasheet below. Wi-Fi is supported at 2.4 and 5 gigahertz. There are two Gigabit LAN ports on the back, plus some LEDs and a SIM card slot. Whether or not eSIM is supported, Huawei didn’t tell. The power consumption is up to 120 watts – 10 times as much as a normal LTE router! Even the 5G available in near future, you cannot buy the Huawei 5G router, presumably, the 5G router will only be available via some specific providers in some countries. But we suppose there will be more and more 5G modem routers available as time goes. Huawei launched the world’s first 5G Chipset and first 5G CPE at MWC 2018 in Barcelona yesterday. According to Huawei official sayings, the 5G chipset model is Balong 5G01, which makes Huawei the first company offering an end-to-end 5G solution through its network, devices, and chipset-level capabilities. 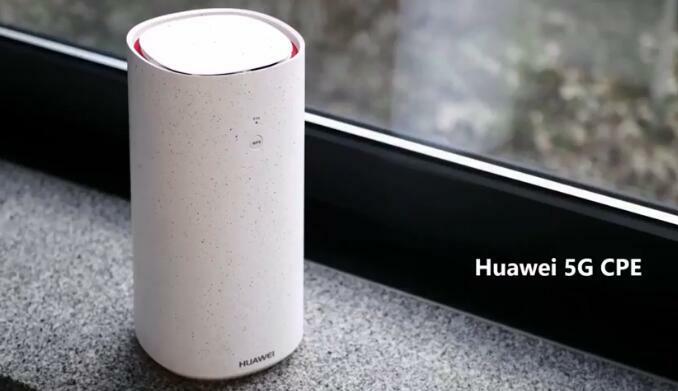 As the world’s first commercial terminal device, Huawei 5G Router supports 3GPP 5G Standards with Huawei developed 5G chipset Balong 5G01, which it labeled as being the world’s first commercial 3GPP 5G chipset supporting download speeds of up to 2.3Gbps across sub-6GHz and millimeter-wave (mmWave) spectrum bands. 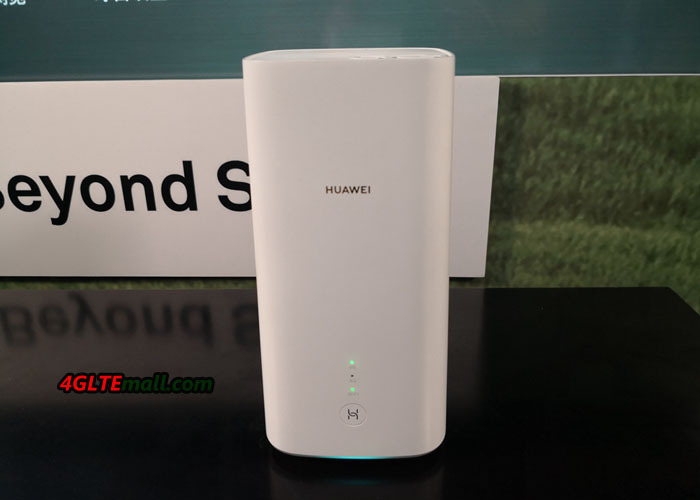 The 5G CPE comes in a sub-6GHz model and an mmWave model, Huawei announced. This device marks a milestone as Huawei sets the stage for the next generation of wireless connectivity. The HUAWEI 5G CPE has two models, low frequency (sub6GHz) 5G CPE and high frequency (mmWave) 5G CPE respectively. 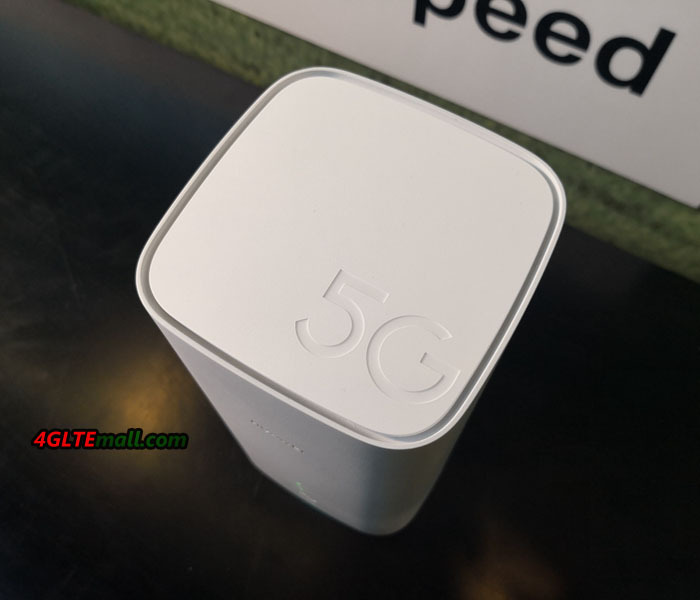 The HUAWEI low frequency 5G CPE is small and lightweight, compatible with 4G and 5G networks, and has proven measured download speeds of up to 2Gbps – 20 times that of 100Mbps fiber. This provides an ultra-fast experience, allowing users to enjoy VR video and gaming experiences, or download a TV show within a second. 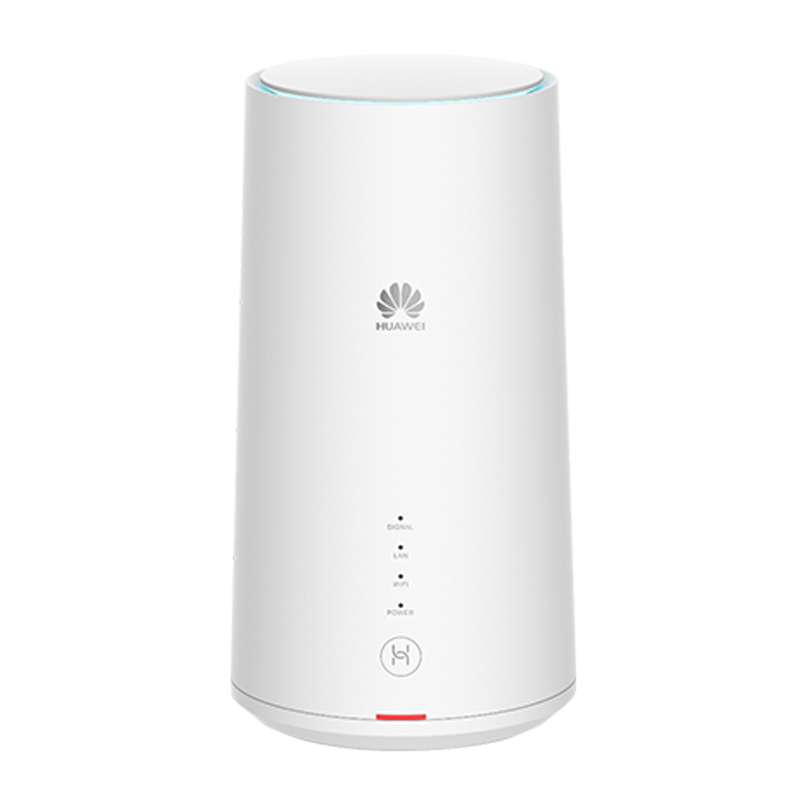 The HUAWEI high frequency 5G CPE is available in indoor and outdoor units.